Bolton’s home game against Millwall on Saturday will go ahead after the club satisfied the local council they could meet their ground safety obligations. Bolton chairman Ken Anderson claims all club staff and the police will be paid in time for this weekend’s home game against Millwall to go ahead. A 17-year-old boy who was stabbed to death in Hale Barns has been named as Yousef Ghaleb Makki, Greater Manchester Police said. A Manchester City supporter is fighting for his life following an alleged assault during Wednesday’s Champions League match at Schalke, German police have confirmed. A man has been charged after “No Blacks” was daubed over the home of a family from Africa. 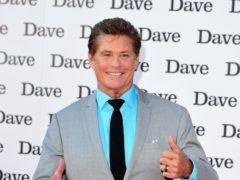 A police officer who rescued a man from freezing water has said he is looking forward to meeting David Hasselhoff – after the Baywatch actor praised his heroics. 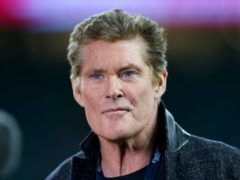 David Hasselhoff is hoping to meet with a hero student police officer nicknamed “The Hoff” after he saw a video of the Pc jumping into freezing water to save a man in Greater Manchester. A murder inquiry has been launched after a man was reported to have jumped from the second storey of an apartment building in Manchester. Police are treating the death of a 17-month-old boy in a hotel car park as a "truly tragic accident". An urgent warning has been issued after seven people became seriously ill after taking what is thought to be a type of MDMA. The family of an eight-year-old girl missing since last night's devastating terror attack in Manchester have been told the devastating news that she is dead. The families of two girls from Scotland's Western Isles missing after attending the concert in Manchester targeted in a terror attack have issued appeals on social media. There are more than 60 children stranded in a Manchester hotel without parents or guardians following last night's terror attack.